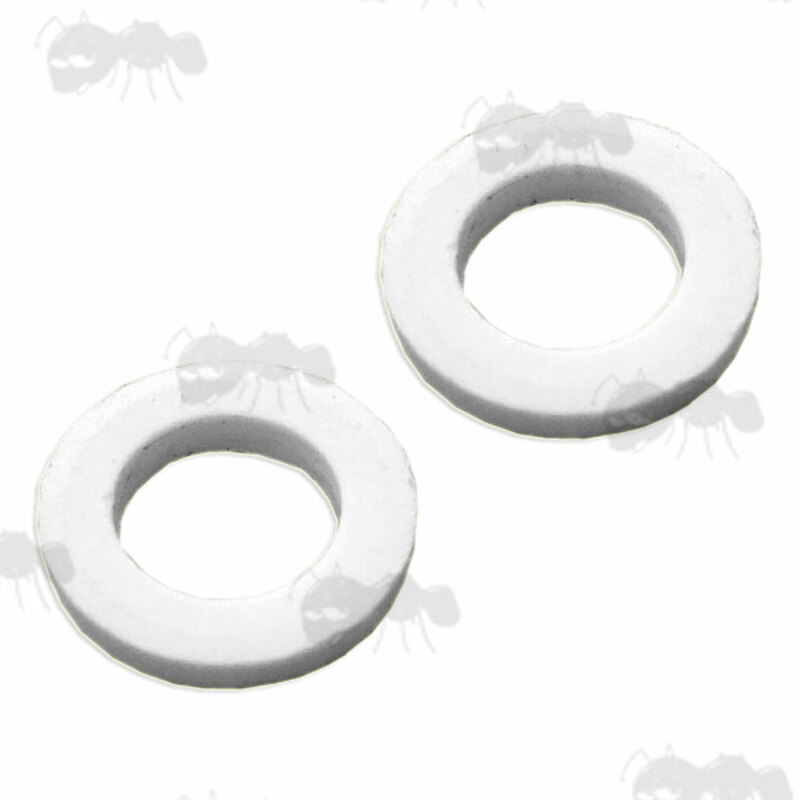 Next > Black Spacer Washers. 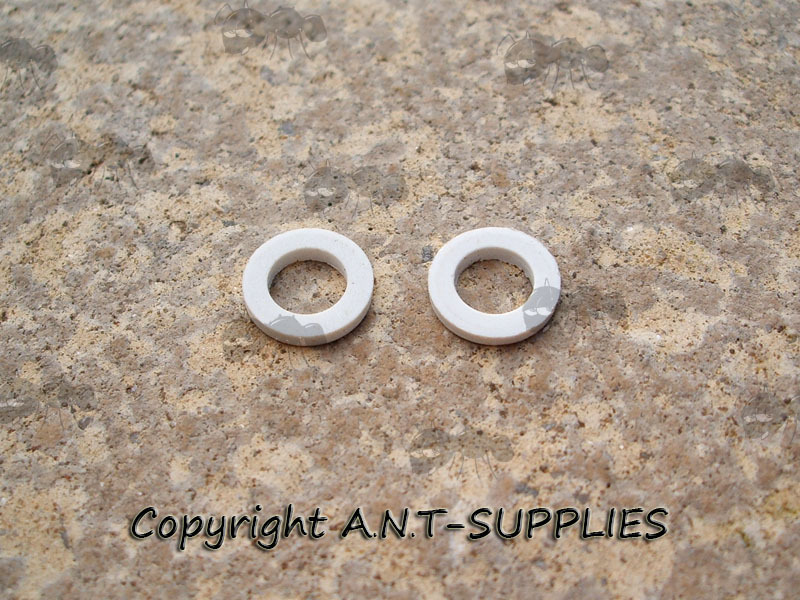 One pair of distinctive white spacers. 10mm wide by 1mm thick. New, supplied as per photo. while also helping to hold the swivel base stud into the wood. One pair of distinctive spacers. 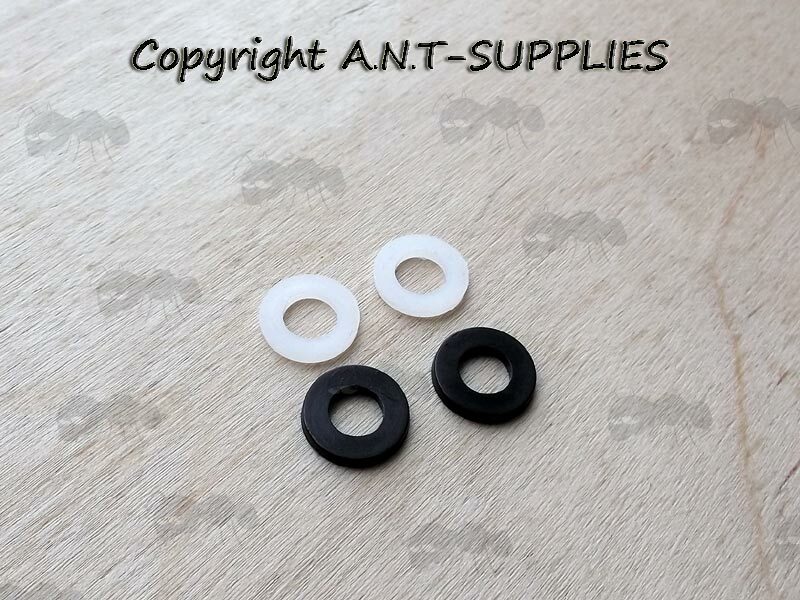 12mm wide by 1.5mm thick with a 6mm hole. 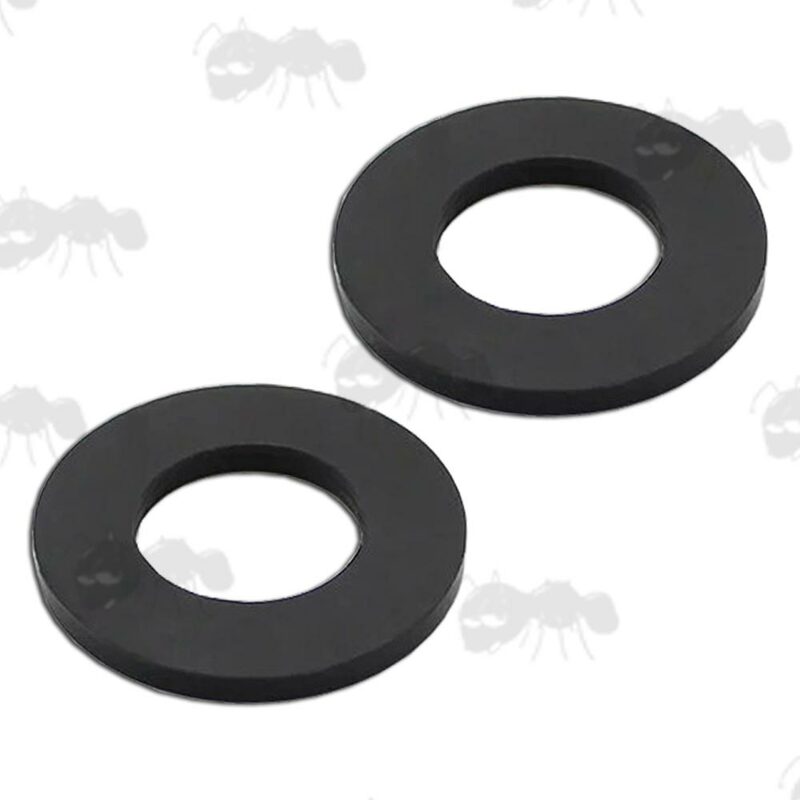 Used to add the finished appearance to swivel sets and to prevent stock chips/cracks, whilst also helping to hold the swivel base stud into the wood.